Do you love vanilla ice cream? Want to avoid the saturated fat and cholesterol? Ice Cream Bean fruit can be a completely natural, low-fat and low-calorie alternative to it. Not just flavor, this tropical fruit has a lot more to offer. Read on to find out its nutritional benefits. Similar in flavor to the vanilla ice cream, it is a rich source of nutrients and has many health benefits. The tropical fruit is also known as pacay and its scientific name is Inga feuilleei. Ice Cream Bean Fruit is actually a legume (1). It is related to peanuts, green beans, alfalfa, etc. This wonderful fruit is native to Central and South America (2). 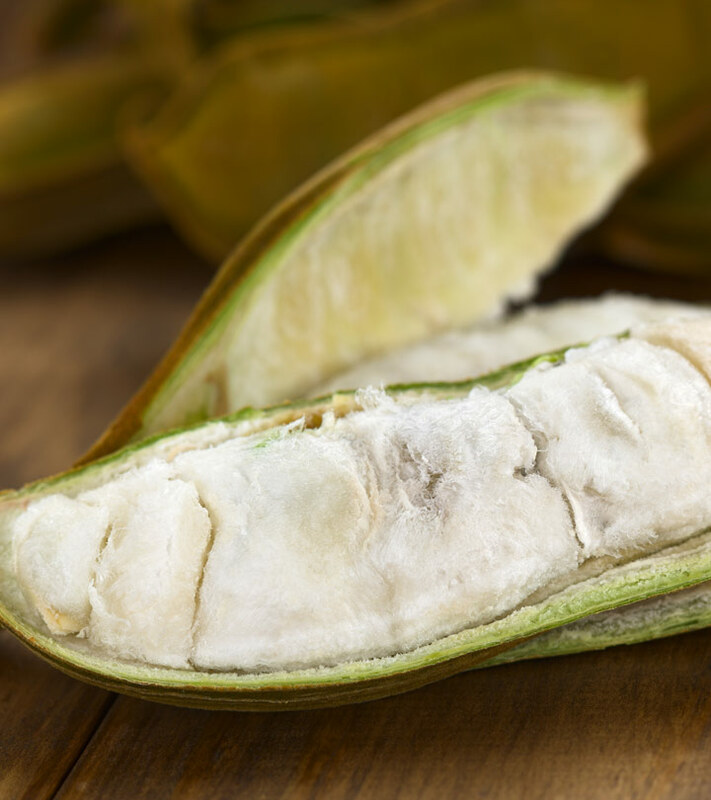 The white, fibrous pulp inside the bean has a smooth texture and sweet, juicy taste – somewhat like cotton candy (3). The leaves can be eaten raw while the seeds can be consumed after they have been cooked. The fruit, seeds and leaves are rich in Vitamins A, B and C, fiber, protein and antioxidants. 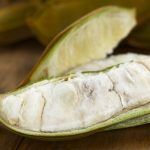 Ice cream bean fruit is not only delicious like ice cream, but it has many health benefits from anti-inflammatory, immune booster and an antioxidant. The seed or bark of the pacay or ice cream bean fruit is known to do wonders for people who are suffering from dysentery (4). The bark and seeds can be eaten after they have been cooked. The goodness of the bark and seeds of the tree is put to use in preventing rheumatism. It has anti-inflammatory properties that help in keeping the bones strong, thereby helping in the prevention of this painful ailment. The ice cream bean fruit is rich in antioxidants. Significantly, it helps relieve free radicals that cause chronic diseases. One of the benefits of eating the leaves of ice cream bean is that it can help treat nerve problems. The leaves are also known to provide relief from headaches. Eating them on a regular basis can prevent headaches and also cure them. The high content of the antioxidants in the tropical fruit makes it boost immunity. The antioxidants that are found in these fruits help in the prevention of cancer. Compounds including gallic acid, flavonol quercetin, and epicatechin are anti-cancer and anti-inflammatory (5). This fruit has a flavor that is compared to vanilla ice cream. It is used as a flavoring agent in different kinds of desserts by health and weight-conscious people as it is low-fat. The ice cream bean fruit is suited for people with high cholesterol levels. If you want to avoid cholesterol and saturated fats in your diet, this is the ideal alternative. The high content of various nutrients in this fruit makes it a good choice in a healthy diet. Snacking on the ice cream bean fruit can improve your overall health. Did you find this article helpful? Do share your feedback with us in the comments section below.